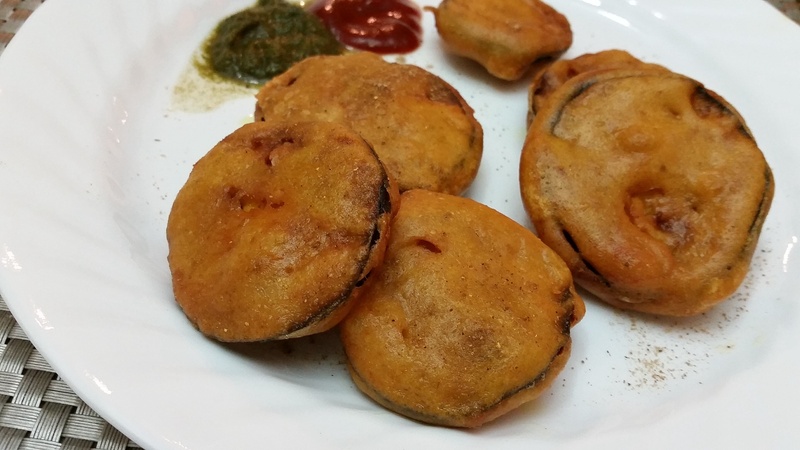 Kurkure Baingan ke Pakore…crrrunchy on the outside, with a melt on the mouth center! 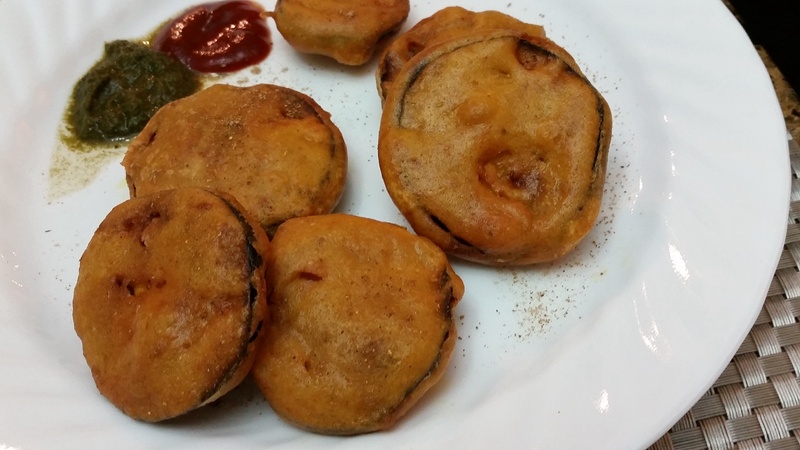 To kick them up an extra notch…I marinated the baingan with a drizzle of kachchi ghani mustard oil! Start with. 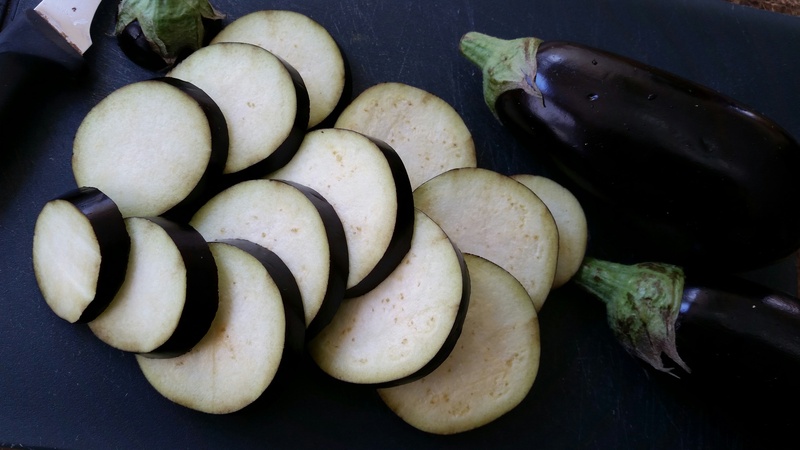 Good quality…tender firm young baingan/Eggplant. 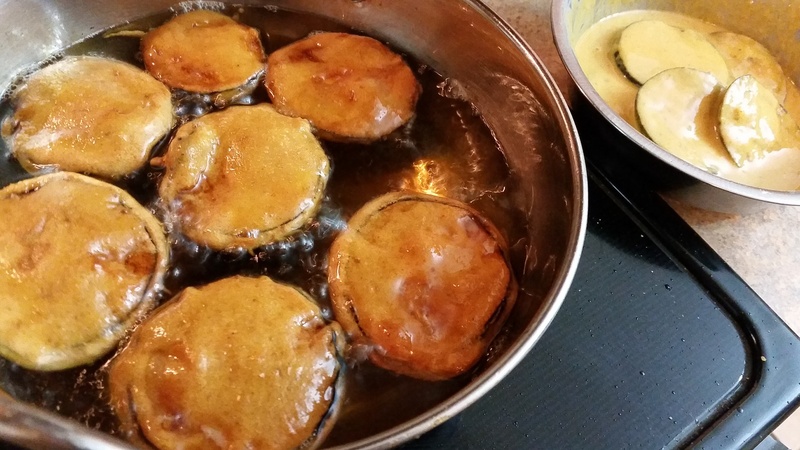 I’ve used Italian eggplant, a little expensive, but totally worth spending the few extra bucks on them! 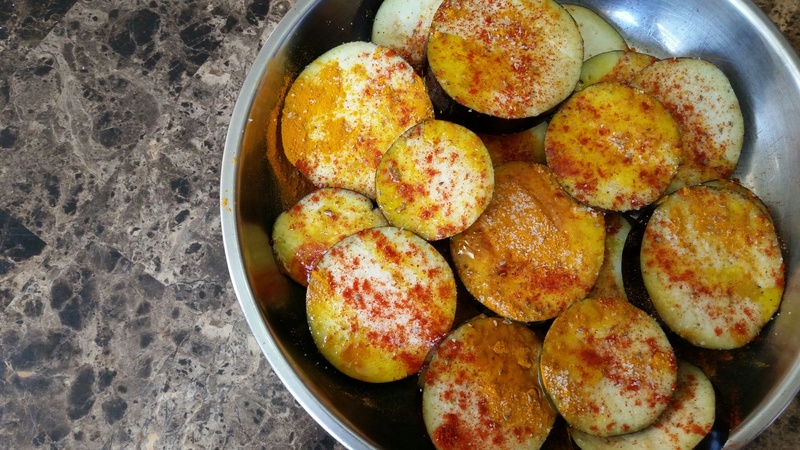 Slice the baingan into 1/4 inch even slices. Sprinkle with salt, red chili pwdr, amchoor and haldi. Also add a little coarsely pounded ajwain. 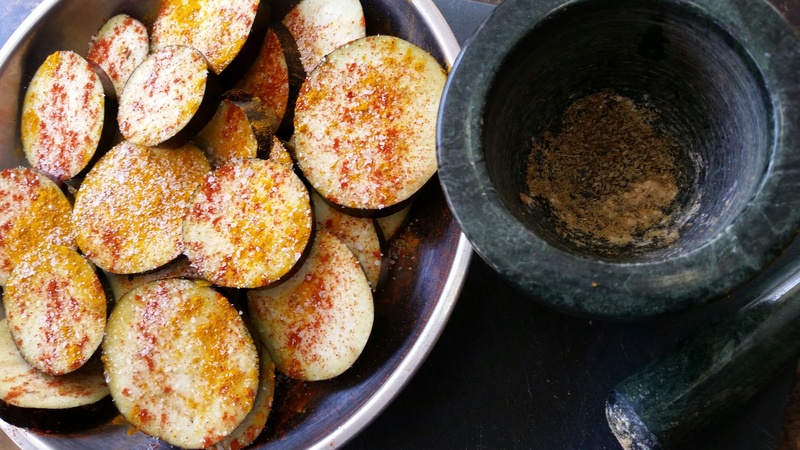 Marinade the sliced eggplant for a couple of hours. Make a thick batter of coating consistancy using besan and water. Add salt, red chillipwdr, amchoor and a hefty pinch of baking pwdr. Let the batter rest for 15-20 minutes. 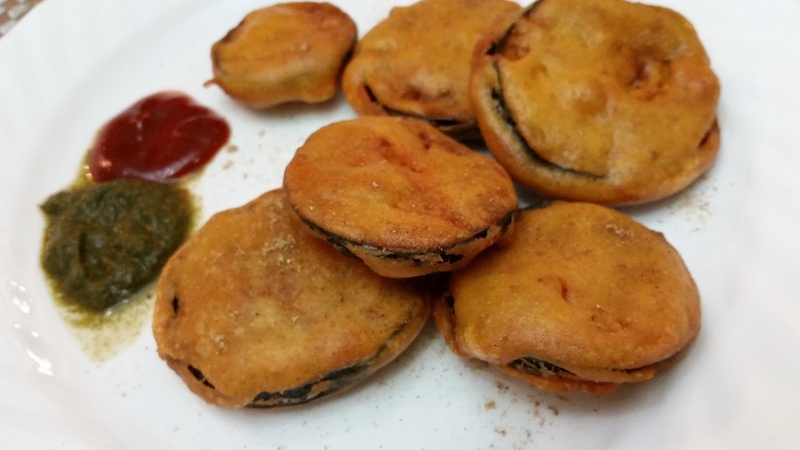 Dip marinated eggplant into the batter. 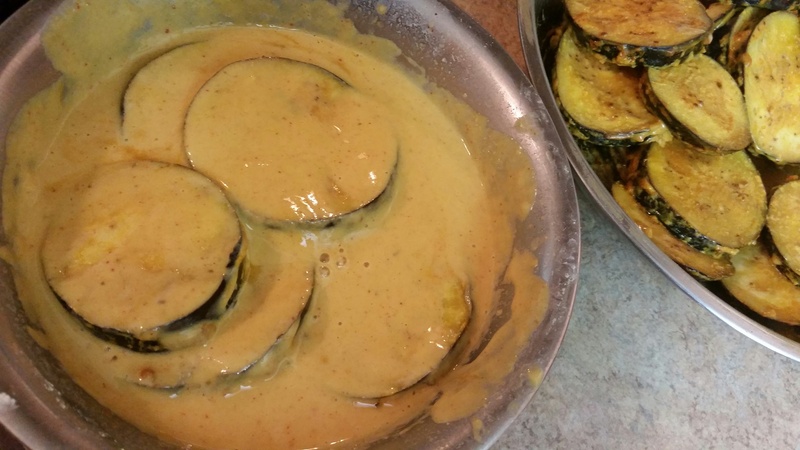 Immerse the dipped eggplant into hot oil. Cook on medium high heat. 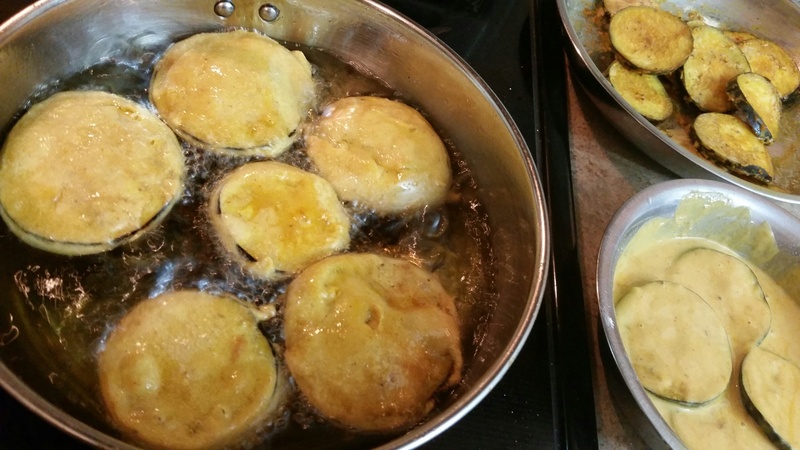 Cook patiently till a deep golden in color. Drain on paper towel. 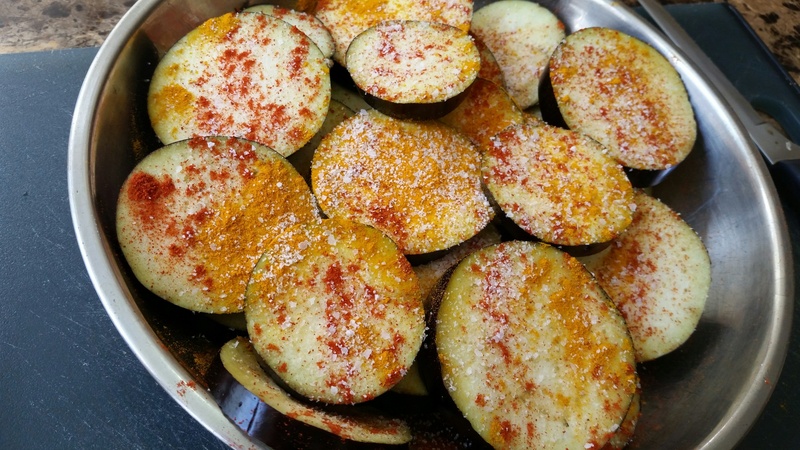 Sprinkle with chat masala, if you like and serve hot with sauce/chutney as appetizer. Or serve as a side with dal-chawal-roti, yum yum!